Brooklyn was born yesterday at 3:05 in the morning. She's 7 pounds, 9 ounces and 20.5 inches long. On Tuesday I went reading and walking. On Thursday I showed you the best books I’ve read in the past 5 years. On Saturday I reviewed two Cybils Award finalists. I’m not sure. There’s a new baby in my life. I am distracted! On Saturday I review two more Cybils Award finalists. 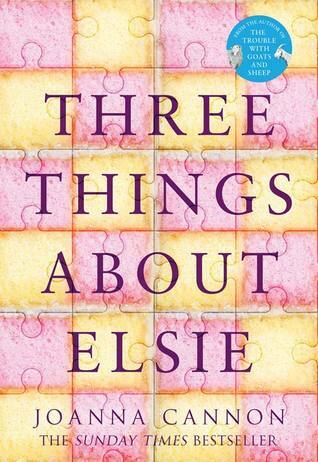 Last week, I finished Three Things About Elsie by Joanna Cannon. I really liked it. It’s about three elderly friends who believe that a fellow resident in their nursing home committed a murder. The end is devastating because I love the characters so much. Then I listened to I, Alex Cross by James Patterson. I don’t think thrillers will ever be my thing. This book is very . . . average. It’s about a bland detective guy who shoots mobsters and stops a serial killer from putting prostitutes in a wood chipper. It’s a good book to listen to if you’re distracted because it doesn’t take any brain power to follow the story, but I didn’t like it. It’s exactly like every other thriller I’ve read. Right now, I’m reading The Arsonist by Stephanie Oakes. It’s intriguing so far. I’m interested to see how the 3 characters’ stories come together. Are you wondering what the #BooksForTrade hashtag on Twitter is about? Tracy @ Cornerfolds has book trading tips. My sister had a baby! At 3:05 in the morning! The long, painful, disgusting birthing process made me confident about my decision to never have biological children, but the baby is cute. I’ll post photos when I get a chance to edit the ones I took. I’m very tired right now. The hospital gift shop sold rainbow roses. They’re white roses that are dyed to look like rainbows. I didn’t buy any because they’re pointlessly expensive, but who knew that roses came in rainbow? I didn’t. Lots of take-out food. The baby was a week late, so we spent last week waiting for the baby and doing nothing. Valentine’s Day! I don’t have a valentine, but I do have a delicious chocolate cake. Who watched the first episode of Miracle Workers? It’s my kind of stupid. I loved it. Congrats to your sister! I cry every time at the hospital when I see new babies born. Such a miracle. I'll have to check this James Patterson book out. I didn’t cry, but I got a little freaked out. The baby is so small! I don’t want to accidentally break her. Congratulations on becoming an Aunt! It's such a rewarding experience, you can spoil them rotten and hand them back to their parents. It's win win. I love rainbow roses! Years ago before they sold them in florists, we would make our own at home. Water with a little food dye in there. It works better on white cut flowers, as they drink, the food dye begins to bleed their petals but it's very subtle on garden or potted plants. Just a few small drops is all you need if you ever wanted to give it a go! I’ve seen people turn flowers blue that way. I haven’t tried it myself yet. Eventful is a good way to describe it. I feel like my brain is going in 1000 different directions. Congratulations auntie!! That rainbow bouquet sounds beautiful. Also chocolate cake is ten times better than a Valentine's. Haha, yeah, chocolate cake is the best valentine right now. Congrats on the baby! Being an aunt is awesome! Congrats on the new baby! February is a good birthday month: my two granddaughters were both born in Feb.: Aubrey, on the 13th and Fiona, on the 21st. The same year, too, so we call them "twin cousins." I only have those two granddaughters...the other five are boys. Wow, you have a lot of children in your life. I’m overwhelmed with just 1 baby. Congrats to your sister (and you for becoming an aunt)! Congratulations to your sister, and to you, as well! I hope you're all getting at least a little bit of sleep! Congrats to your family on the new addition! Nieces and nephews are the best because you can spoil them and then send them back when you are done :) I hope you have a great week! This baby is very spoiled already. She has so much stuff! Brooklyn! What a cool name. Congrats to your sister!!! Take out food makes me happy too. One of the joys of life. Any food that I don’t have to cook makes me happy. Welcome, Brooklyn! How exciting. Let the adventure begin! Child birth is rather gross. I remember them asking me if I wanted a mirror pulled up so I could watch. I was utterly horrified by the suggestion, though, a chorus of angels did sing the first time they put that kid in my arms. I didn’t watch the baby coming out. That would be too much nastiness for me to handle. Everything about birth has been really gross. Congratulations to your sister! Hope everyone gets some sleep, I know this can be difficult with new babies. We have a fur baby who is 5 months, and still gets us up two or three times during the night. I’ve been getting sleep. The baby’s parents haven’t. :) I feel sorry for them! Congratulations's AJ's sister. I'm pretty sure this kid is going to be spoiled by her aunt. She’s already very spoiled, and she’s only a few days old. Congrats to you sister on the baby!!! Yeeeaaahhhh I decided a long time ago I didn't want to go through that myself either lol. Rainbow roses sound so pretty! I never wanted biological children, and now I’m POSITIVE that I don’t want them. Congrats to your sister! How exciting! I have no desire to have children either. XD I've been meaning to read The Arsonist, so I'm interested to see what you think! I love The Arsonist so far. I have a little over 100 pages left to read. Congratulations to your sister and you as a new Aunt! I'm interested to check your post of Best Books in last 5 years. Enjoy getting pictures of Brooklyn and Happy Reading! Everything about pregnancy and birth is disgusting! I’m not brave enough to handle it. Ah congratulations! So happy for your sister! (And you as a new aunt!) I have similar feelings about childbirth, but I'm still deciding about whether I want to go through with that one day or not, haha. Rainbow roses sounds crazy, what an idea. Chocolate cake is all you need, and I have Miracle Workers taped on my DVR, hoping to get to it this week! I'll be honest, I'm mainly checking it out because I think Daniel Radcliffe is an awesome person and I love to see what he's acting in. I hope you get some rest and have a great week! Daniel Radcliffe is awesome in that show. He’s very funny. Other than Harry Potter, I don’t think I’ve seen anything he’s acted in. I would never jump in and read book 16 in a series-I'd be losing all the back story and character development that the author has built up. 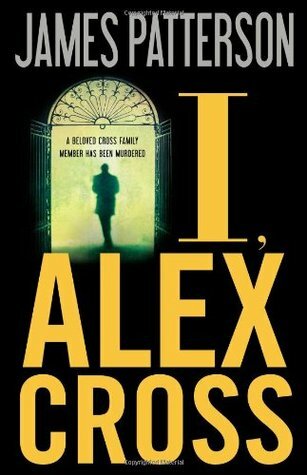 I liked the early Alex Cross books but there became too many to keep up with and reviewers say it all gets a bit samey in the later books. I chose that book because it was on The Great American Read, and people said it works as a standalone. I would never read this series from the beginning. There are too many books! I hope there are many happy times for you and your sister with the new addition to the family! Three Things About Elsie sounds really good but sad as well. Thanks for stopping by! Happy reading! Thanks! It is sad, but it’s also really well-written and unpredictable. Congratulations on your new niece. Brooklyn is a beautiful name. Who cares about reading or blogging with all that excitement around! Have a great week and enjoy some newborn cuddles. They're the best! Yeah, I’m going to take a blog hiatus. There’s too much stuff happening! You'll love being an aunt! Congrats!! So excited to hear that Baby Brooke is here!!! Can't wait to see a picture of the little cutie! Hopefully I’ll post some on my next Sunday Post. Congratulations to you as aunt and to your sister and family! I watched the first episode of Miracle Workers this past week too. It was comical! Here is my IMWAYR! I was worried that it would be too silly, but it wasn’t. It was surprisingly funny. Congratulations to your sister! I'm glad that both my babies were induced so they were born during the day and not in the middle of the night sometime! Have a great week! Yeah, 3:05 in the morning is an inconvenient time to have a baby. Congratulations! Brooklyn is such a nice name. I'll look forward to the pictures. Come see my week here. Happy reading! Thanks! Hopefully I’ll have pictures this week. I’m glad you like my five things. Sometimes it’s hard to come up with ones that aren’t food. Congratulations to your sister! Seems like she suffered a lot. And congrats on you becoming an aunt! Haha, she did suffer a lot. Pregnancy and birth do not look pleasant. Congrats to your sister! I love the baby's name. :-) I did watch Miracle Workers. I love it. Miracle Workers was surprisingly good. I’m interested to see where the story goes. LOL about the decision to not have bio kids. That's fully my stance because...ewwww! But definitely good once they're here. Hope you have fun with the new little one this week! ahhh BABY!!! Congrats!!! And also I totally agree with how cute and lovely babies are buuut...hm, no thanks, I will not have any for myself. 😂 Also now I want to see rainbow roses?? That sounds amazing. I should have taken a picture of them, but I was distracted. Google probably has a photo somewhere. Congrats on your new niece! 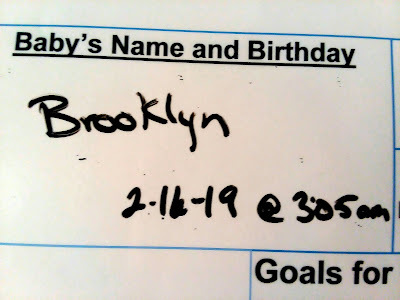 I love the name Brooklyn. So pretty! Sounds like every James Patterson book basically! Congrats to your sister! Awe yay that's awesome congrats to your sister! I love rainbow dyed roses, but I would just get the white roses and put them in colored water lol. No point in spending a ton of money on it. I hope mom and baby are doing great. Ah, congratulations to your sister on the birth of her baby - I bet that sucked waiting around to meet her little one, being overdue. I hope they are both well. I've been eyeing Three Things About Elsie for the longest time, so good to hear you enjoyed it. I hope you're having a great week - bookish & otherwise! Awh so exciting! Congrats for your sister! Congratulations to your sister (and to you too, because Auntiehood is awesome). Your comment about "the long, painful, disgusting birthing process" made me chuckle, that is the kind of thing my sister says all the time. She doesn't want biological kids either but she dotes on my daughter. Hmm, I know what you mean about thrillers. I have read many that are similar, where the protag is a detective with a drinking problem and a troubled past or something. I prefer thrillers with a sci-fi or paranormal twist.